Grits in my opinion are over looked by a lot of people. Its such a great ingredient to cook with and get creative. 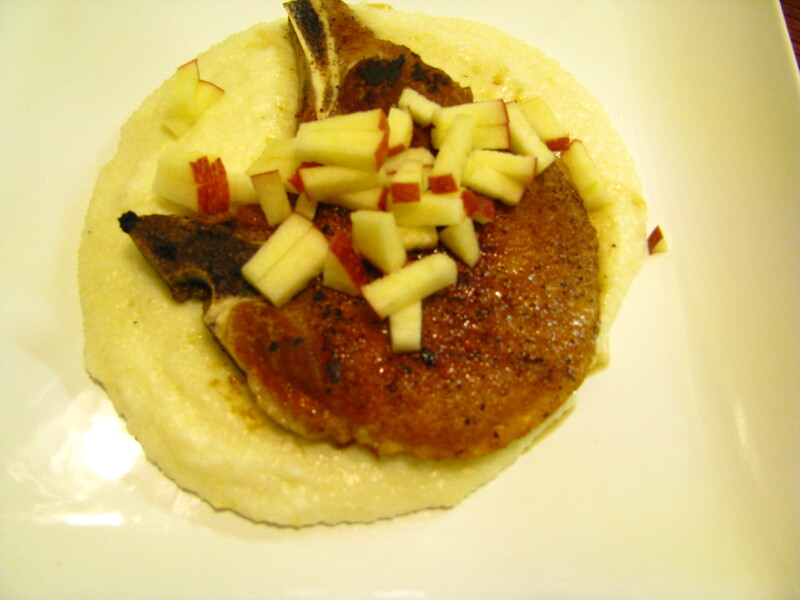 The other night I decided to make some grits with Gruyere cheese topped with a nice golden pork chop and garnished with diced apples. This combo I think has been one of my favorites. The grits were so creamy and smooth with so much flavor and the apples just gave it that nice sweet balance. If you haven’t prepared grits before you should defintly give it a try. You can even make a breakfast with with cheese and bacon.